I know that it seemed like it would never happen, but the weather is finally starting to warm up a bit. The mounds and mounds of snow are starting to slowly melt. Spring is on its way! The snow piles tend to hide all sorts of things. From your dog’s favorite ball he left outside to all that poop that you may not have picked up through the winter, melting snow may reveal a number of hidden “treasures.” This means that your pet may be digging up his own frozen poop or the droppings of wildlife in the area. In addition, there may be small creatures, like mice, buried in the remaining snow piles. These things, if ingested, can cause quite a bit of digestive upset ranging from diarrhea or vomiting to decreased energy. Fido may not be eating these treasures directly, but even stepping in poop and then licking his paws can make him sick. It is best to watch your pet at all times when he is outside. Make sure he isn’t eating things he shouldn’t eat, and then carefully wipe his paws before he comes back inside the house. We often forget that as the snow melts, layers of ice become exposed. This ice often has jagged edges that can be extremely sharp and can cut the bottom of your pet’s feet. Sometimes these cuts can be so bad that they need surgical repair. This uneven, icy ground can also cause nails to become stuck or snagged, causing some pets to have painful, broken toe nails. If your pet has ever broken her nail, you know that not only is it uncomfortable for her but it also tends to bleed. I mean bleed a lot! If your pet does cut herself, or you think she has broken a nail, seek veterinary help as soon as possible. With all the snow and ice that we had this winter, we are definitely seeing quite a bit of water as everything begins to melt. All this water is not only a headache for everyone dealing with flooded yards and basements, but it can also be a big problem for your pet! This water can have a lot of dissolved road salt in it, and that can give your pet an upset stomach. This water can also serve as a reservoir for diseases from other animals. Unfortunately, these diseases, like giardia or leptospirosis, can be passed on to your pet when he drinks the melted snow or licks his wet paws. These diseases can cause a range of health problems from an upset belly and diarrhea to more life-threatening problems like kidney and liver dysfunction. Be aware that some of these diseases are zoonotic, which means that your pet can transmit the disease to you or your children. Warmer weather means beautiful flowers blooming, trees budding, and that beautiful smell of fresh cut lawns. But to some people and pets, it means the start of allergy season. We often see an increase of pets with itchy, irritated skin and hot spots (moist skin infections). The change in temperature can also cause some people and pets to catch a cold, complete with runny nose, eye drainage, and other symptoms. 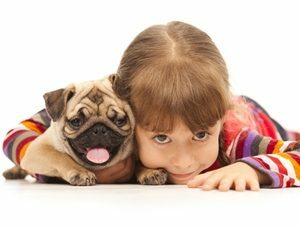 If you think that your pet may be having some allergy or cold symptoms, schedule an appointment with your veterinarian. Your pet may need medications or supplements to help make her feel better. The spring is truly a beautiful time of the year, and it is much needed after the long and cold winter. However, it is important that we watch our pets closely. Sometimes outside dangers are easy to spot, and other times they are hidden. Help to keep your pet safe while taking time to enjoy the beautiful, warm weather and the fresh smell of spring in the air. Dr. Heintz is a small and exotic animal veterinarian at Countrycare Animal Complex in Green Bay, WI. 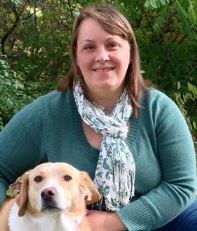 She earned her Doctor of Veterinary Medicine from the University of Illinois – Urbana/Champaign. Her passion is helping all animals, whether furry, scaly, or feathered, lead long and healthy lives.